CrazyLister is a software that helps you easily create and manage professional listings to increase your sales. You can customize ready made professional, mobile optimized templates and apply them to all of your eBay listings in one click! Moreover, you can upload new products via CSV and publish them in bulk to both eBay and Amazon. First thing you want to do is add your eBay account(s). 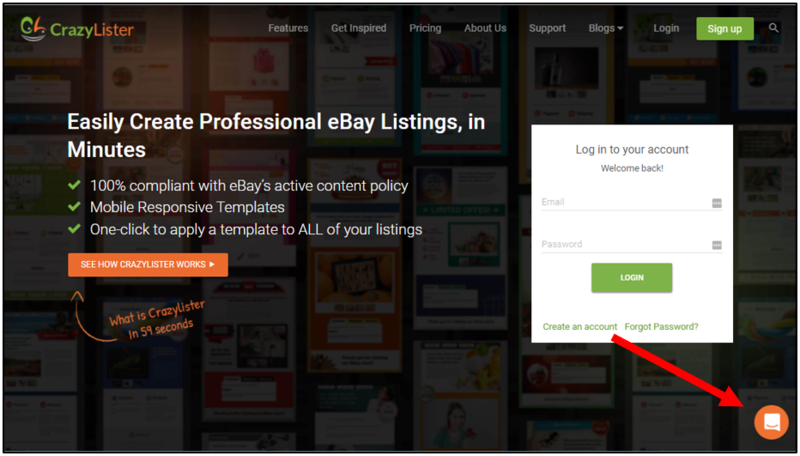 Adding your eBay account allows you to manage all of your listings within CrazyLister, publish new listings, and apply templates to your listings in bulk. If you have more than one eBay account, you will be able to add it once subscribed, by following the instructions HERE. Once you've connected your eBay account, you will now want to set up your first template. The great thing about CrazyLister is that you can use our templates as a starting point and edit/customize them to look however you want and fit your needs. You can select any template design from our collection of over 200 mobile-optimized professional templates. You can choose to use the design as it is, or you can choose to customize it. We have plenty of articles to help show you how to use the different tools in the editor. You can CLICK HERE to check them out! Information for these fields is taken from the listings themselves and therefore, you do not need to edit these fields when designing the template. Once you've saved your first template and are happy with the way it looks, then you are ready to apply the template to your listings! Applying the templates is very easy and can be done individually in bulk. In CrazyLister, you have full control over your eBay account - whether you need to change the price of your item, add a new image or make a revision to the description, this can all be done within the CrazyLister platform! Click HERE to learn how you can easily edit your listings within CrazyLister. If you also have an Amazon account, you can also connect your Amazon account and publish listings in bulk via the CrazyLister Products Catalog directly to Amazon. If you didn't find the answer to your question, click the orange chat icon at the bottom right corner and start a new conversation with us. Someone will be around to help you out as soon as possible! Welcome to CrazyLister and Happy Selling!